To create lifelong readers, the Maine Education Association will deliver a free book to all public school first-grade students across the state. 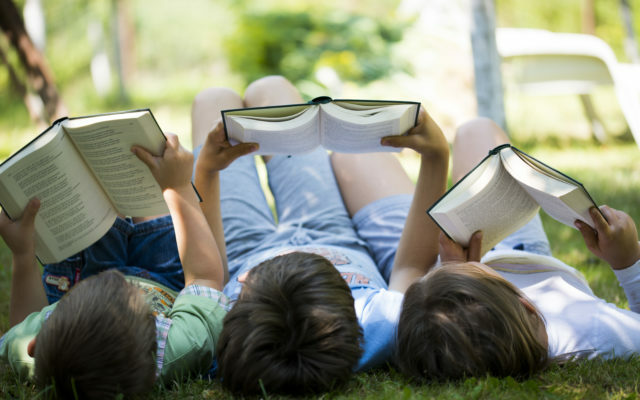 MAINE — To create lifelong readers, the Maine Education Association will deliver a free book to all public school first-grade students across the state. MEA is in its fifth year of book donations as part of its continued effort to create great public schools for every Maine student. By the end of the school year, first-graders will have a book to take home and practice their reading skills. The delivery of the books is an association-wide effort, titled MEA’s Cat Tracks Tour, which sends association leadership and staff, including MEA President Grace Leavitt, into schools across the state with books in hand. “The book donation is one way the MEA helps to support educators, so they can inspire students. Not all students have access to books at home, so if the association can help support the learning process, our students win and our educators win,” said Leavitt. Students across the state will receive the same book, titled “Lizards.” The book is from the National Geographic series. Each book is intended to help cultivate first-graders’ reading skills while helping them develop a love for reading and learning science at the same time. “This donation from the Maine Education Association means so much to the teachers and students at Abraham Lincoln,” said Cyndy Fish, a special education teacher at Abraham Lincoln School in Bangor. “Some of the students in my class don’t have many books at home. Getting a gift, especially a book is special to them and will help encourage them to read more and hopefully fall in love with reading,” Fish said. The MEA purchased the books with grants, including a Read Across America grant funded by the National Education Association.